Frankie Edgar will be entering a new kingdom when he makes his featherweight debut at UFC 153. However, the former lightweight champ will be stepping into the Octagon as the underdog in Brazil, a position he’s quite familiar with. Edgar has been pegged a slight +145 dark horse when he challenges Jose Aldo for his 145-pound crown. “Scarface,” on the other hand, checks in as a -175 odds-on favorite to retain his title. Erik Koch, who Aldo was originally slated to battle at UFC 153, was a 4-to-1 longshot before having to bow out with an injury. Aldo was a whopping 6-to-1 favorite for that tango. 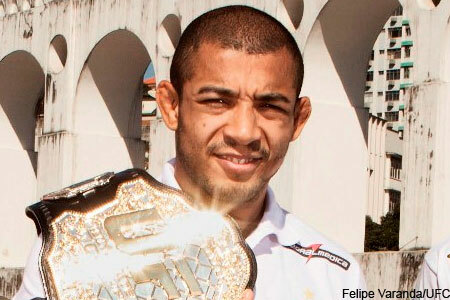 UFC 153 takes place October 13th inside HSBC Arena in Rio de Janeiro.